Different people look for different things from their vacations; some want excitement, whilst others long for busy beaches where they can lounge under the sun. An increasing number of people, however, are looking for something altogether different from their holiday – they want a place to relax, a place to meditate, and a place to feel closer to nature and themselves. These Zen seeking holidaymakers can find suitable locations across the globe, but here are three European destinations that are perfect for those looking for a more relaxing yet spiritually invigorating vacation. When you hear the name Sicily, you may think of a certain film franchise, but today’s Sicily is a very different place to the one shown on film, and a perfect place to relax and find yourself in the heart of western Europe. First-time visitors to Sicily always remark upon how friendly the locals are, and there are plenty of villas in Sicily to rent at highly affordable prices. Sicily is an island of contrasts, in that it has some of the best golden beaches in Italy and yet it also has rural areas of exquisite beauty. Because much of the island is sparsely populated, it really is a great place to get away from it all and forget the hustle and bustle of modern life, which makes it the perfect European destination for those seeking Zen-like qualities in their vacation. Sark is one of the smallest of the Channel Islands that lie off the north-east coast of France, and whilst it has an area of only just over two square miles and a population of around 500, it can be an ideal choice for anyone who wants to leave the rat race far behind for a week or two. Sark has a unique claim to fame in that it allows no motorised vehicles other than tractors, so stepping onto the island feels like stepping back in time. Its green credentials also saw it designated as the world’s first Dark Sky Island, which means that you can lie back and gaze at the wonders of the cosmos, without being interrupted by light pollution. Iceland is at the north-eastern extremity of Europe, but visitors from across the world still seek out its unique attractions. The capital city of Reykjavik is lively and colorful, but it’s the remote areas of the country that have most to offer enlightened travelers. In Iceland, you’ll find majestic volcanoes (some like Oraefajokull are still active and often have smoke billowing from their summit), mud spewing geysers, and natural springs warmed by underground lava in which you can sit in complete warmth and comfort amidst vast ice-bound plains. 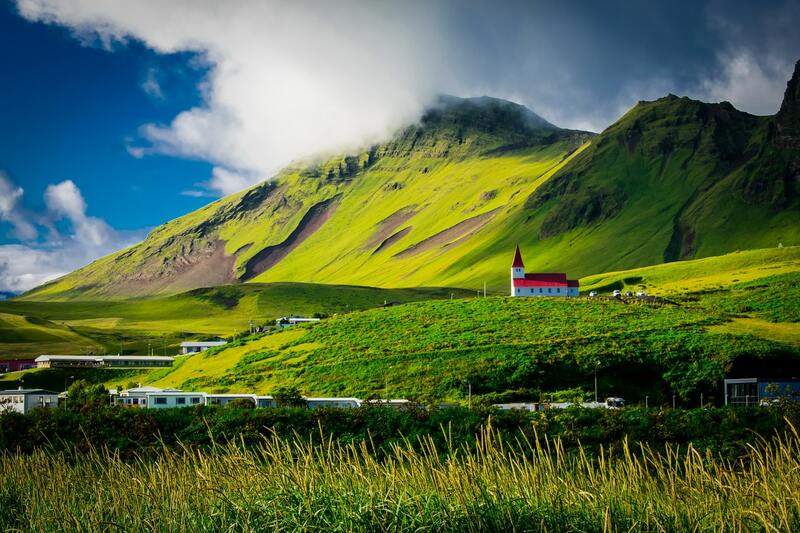 These three islands of Sicily, Sark, and Iceland are all very different in size, appearance, and feel, yet they can all provide excellent vacations for those who want to relax and enjoy the more spiritual side to life. Whilst they all attract tourists and, therefore, have villas and apartments to rent to suit all budgets, they also have areas that remain largely unspoiled, making them true European gems.